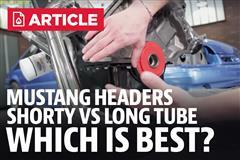 Looking for more power from your 1996-2004 4.6L GT Mustang? 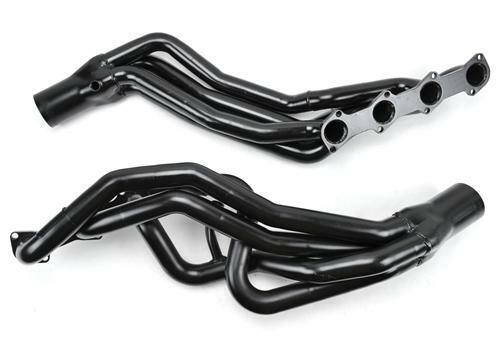 Now you can improve the performance of your Mustang GT with these PaceSetter headers. Manufactured from mandrel-bent, mild steel tubing, they feature thick steel flanges that are surface-ground for a leakproof seal. PaceSetter headers are finished with a standard black painted finish and fit both manual and automatic applications. These PaceSetter headers come with hardware and gaskets, as well as illustrated instructions to help with installation. Some dimpling of the header may be needed for clearance depending on starter/motor mount configeration.